STUDENT SAFETY A critical ingredient in the safe school recipe is the classroom response to an incident at school. Weather events, fire, accidents, intruders and other threats to student safety are scenarios that are planned and trained for by students, teachers, staff and administration. 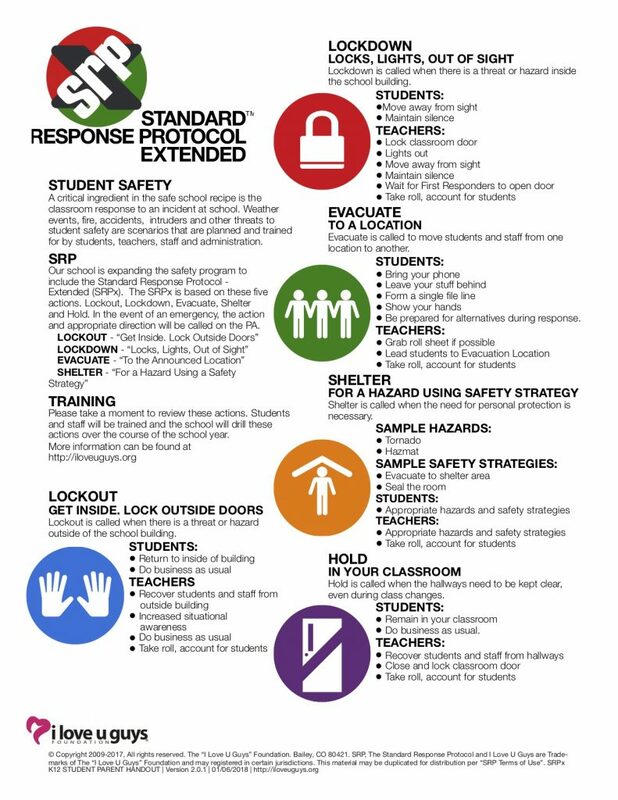 Our school and GCCSC is expanding the safety program to include the Standard Response Protocol – Extended (SRPx). Over this next month our staff and students will ALL be trained to follow the SRP. See the document below to learn more about it.